We have great news for anyone who has been considering straightening their teeth with clear aligners, but held back because of the cost. Dr. Devin Kuller is now a certified Clear Correct provider. What is Clear Correct? It’s a less-expensive, clinically effective option for orthodontic treatment. 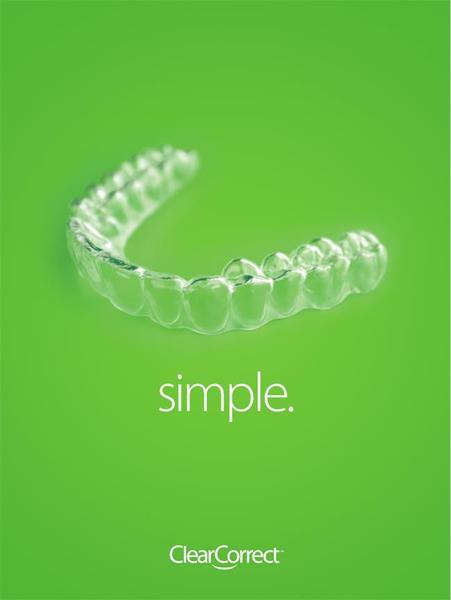 Your teeth are gently moved using a series of practically invisible clear aligners. These plastic trays are customized to apply pressure to the teeth that you want to move. You’ll wear the trays for at least 22 hours a day, and come back for visits periodically so Dr. Kuller can check your progress. The length of treatment varies from person to person and can range from a few months to a few years, depending on the complexity of your case. You may have heard about a similar system for straightening teeth; Clear Correct uses the same technology but without the name-brand and all the marketing that comes along with it. Give us a call to schedule a complimentary consultation.